Simple yet elegant. 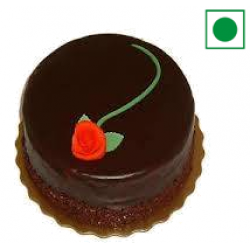 Mouthwatering Chocolate cake expressing your love with a beautiful rose on the top. Send it to your loved ones in Jaipur. You can add Teddy to make it more lover.